Kolkata has steadily become one of the most traversed and populated cities in India. Like other cities like Mumbai, Delhi, people living in Kolkata are not completely free of high costs of living, especially when it comes to purchasing real estate from Builders in Kolkata. We, at Greenfield City realize the importance and need for people to be able to live in a city without being bothered by any commotions or the usual disturbances you’d find in a busy, populated city. You can easily purchase 2BHK flats from our builders in Behala Kolkata without being hassled by budget issues or any other disparities. Why Depend on the Services of Our Builders in Kolkata? If you’re looking to purchase housing from some of the top 5 builders in Kolkata, then you’re at the right place. We don’t consider ourselves as one of the top; we know so, courtesy of our vast base of clients who are satisfied purchasing property from the projects by Greenfield City developers. 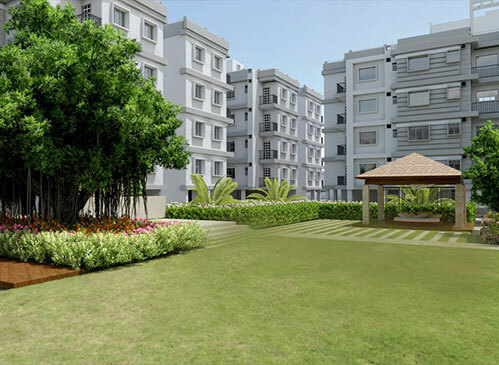 Greenfield City is a similar project of ours that aims to enable people purchase flats in Behala and live with their family in what’s easily one of the best housing solution in south Kolkata. Our builders in Kolkata South have carefully studied and know exactly what a modern family needs from today’s real estates. 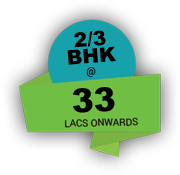 If you purchase a 3BHK flat in Behala Chowrasta, you are availing a residential complex that is free of any difficulties such as overcrowded locales, congested roads, etc and instead, receiving a house that is located at a prime location, close to hospitals, malls, restaurants, educational institutes, etc. Our Greenfield city housing project, part of Srijan Realty and the Bengal Greenfield Housing Development Company are as such, proud to serve you as the most reputed builders in Kolkata. We hope you avail our services, thereby enabling you to live in one of the best locations in Kolkata, fitted with top-notch facilities, at an affordable price suited to your budget.